Simply the best of European heliskiing!! Our Favorite! 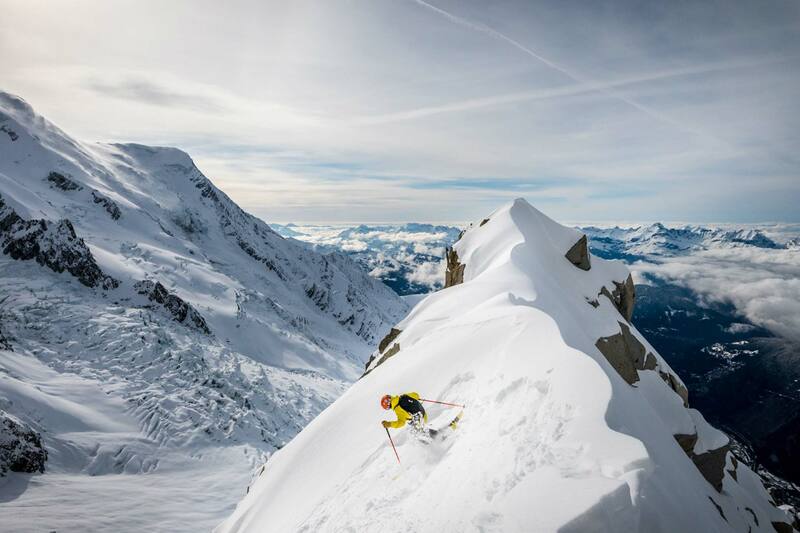 !Mont Blanc under the tips of your skis, only 30 minutes from Chamonix! !Each and every heliskiing itinerary in Courmayeur is unquestionably one of the best descents in Italy and even EUROPE. Courmayeur 25 minutes from Chamonix. Meet in Chamonix the previous day or at around 8h30 on the ski day. We then go through the Mont Blanc tunnel and head to Courmayeur (25 min). After getting your ski gear on, you will be handed out the safety equipment and we will have a quick briefing. 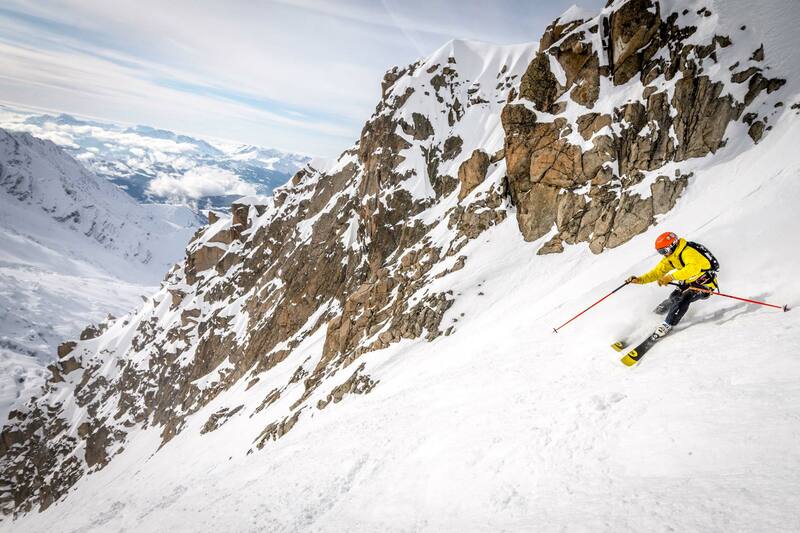 Depending on the time and snow conditions, we will choose either to take the cable car up to ski a great off piste run for a warm up, or set off directly for the first drop off. A spectacular flight will plunge you into the heart of a white paradise where you will be dropped off at one of the 8 high altitude drop zones on one of the flanks of Mont Blanc. Our guides make it their priority to find the most promising itineraries for fresh snow so that you can discover the longest and most beautiful heliski runs in Courmayeur. After the last drop off, you will be taken by scooter to a charming little restaurant where you can indulge in all the tasty local specialities. But don't forget to save the energy to complete the last run that will lead you down to the cars! The return to Chamonix takes 25 minutes. Thanks to the proximity to Chamonix, the atmosphere and character of the place, the quality of the snow and the variety of its itineraries, Courmayeur is simply every heliskier dream playground. Whatever your skiing level, Courmayeur will exceed your expectations. Whether you are looking for discovery, thrills or downright adrenaline, Courmayeur has it all, you just have to ask! In the heart of winter, the combination of mainly south facing slopes and high altitude allows skiers to enjoy both sun and abundant fresh powder. Your playground will vary between high summits, huge glaciers and larch forests worthy of Canada. 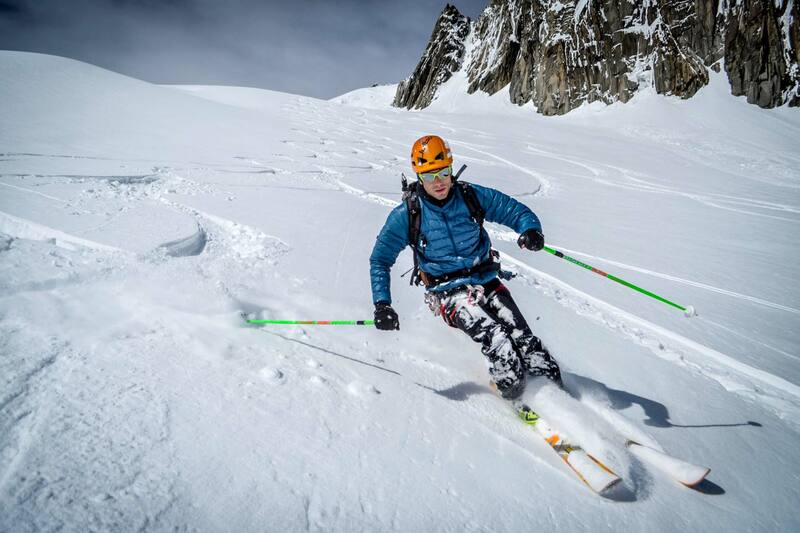 If you wish to discover more, the Heliski-week-end package will also allow you to enjoy a maximum of fantastic off-piste runs in the resorts of Courmayeur or Chamonix. 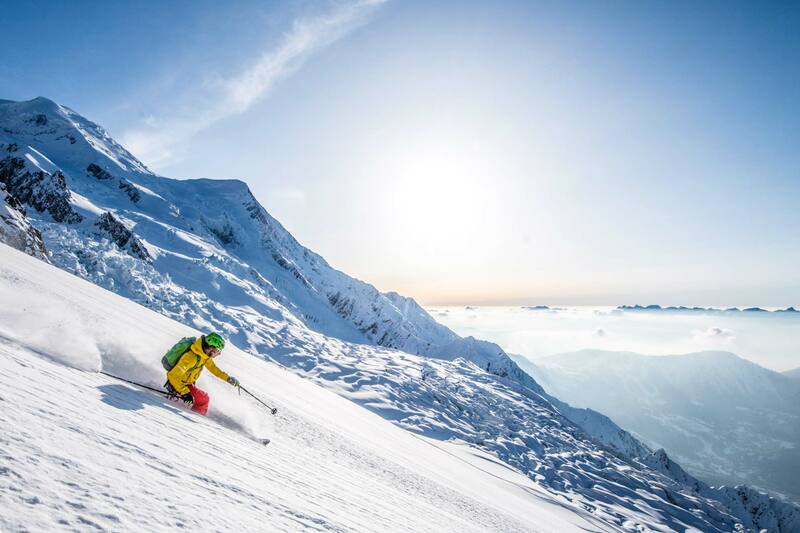 Courmayeur has 8 different beautiful drop zones allowing skiers to discover more than fifteen incredible descents varying between 1450m and 3800m of vertical drop. In Courmayeur, not a single tu is wasted, you will find the best deal that combines quality, quantity and price.